In a world becoming increasingly modern and digital, it’s a little odd to find a book like Men and Manners, especially since its weird page colors make it seem like it was written in the 1950’s. While this book did have some pieces of advice, it seemed to be as specifically tailored (like a high-end tuxedo) to Manhattan, New York, instead of being general advice for men in Manhattan, Kansas. Many of the locations and businesses explicitly mentioned in this book were complete mysteries to me since I don’t live in New York City. These references made it seem like the manners advice wasn’t relevant to me at all. While I would have appreciated more thorough explanations of why particular manners should exist, this book seemed to be mostly filled with anecdotes from east coast elites about their opinion on certain matters. Sure, some of the people who provided their views were experts in their fields, but it would be better for the target audience (which I’m assuming is young men) to have an explanation as to why your shoe color should match your belt color. From my viewpoint, this book seemed like a lot of young Baby Boomers / older Gen-X-ers subtly complaining about Millennials and their habits/trends. Despite the apparent bias on the part of the writer(s), this book did contain many pieces of useful advice, even if a lot of it—if not most of it—boiled down to common sense and common decency. Another aspect I seemed to notice with this book is that it is also aimed at the moderately wealthy, especially considering all the expensive hotels, restaurants, and businesses mentioned. I don’t think I’ve ever stayed at a hotel with a doorman. Consequently, it seems that manners are only available to the rich when it’s the less-wealthy among us that often need the gentle nudging toward good manners. 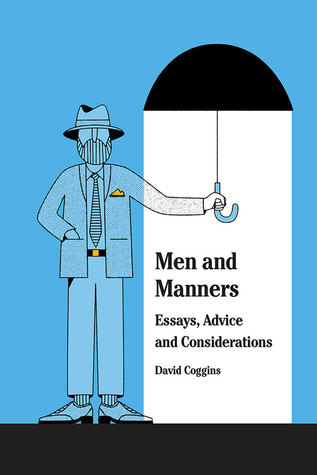 A primer for young men living in New York City, I give Men and Manners 3.0 stars out of 5.